Tonight, St. Patrick’s Day, the Boston Bruins play the Tampa Bay Lightening. Two great ice hockey teams. The National Anthem always introduces the game with a variety of singers. Not tonight. Two musicians played “The Star Spangled Banner” – a violinist, backed up by a guitar player. No voices. No singing. Just the pure sound of every note on the violin. It washed away all of the fluff, the extras that often accompany this song. There was only music. It was powerful. Music does that. 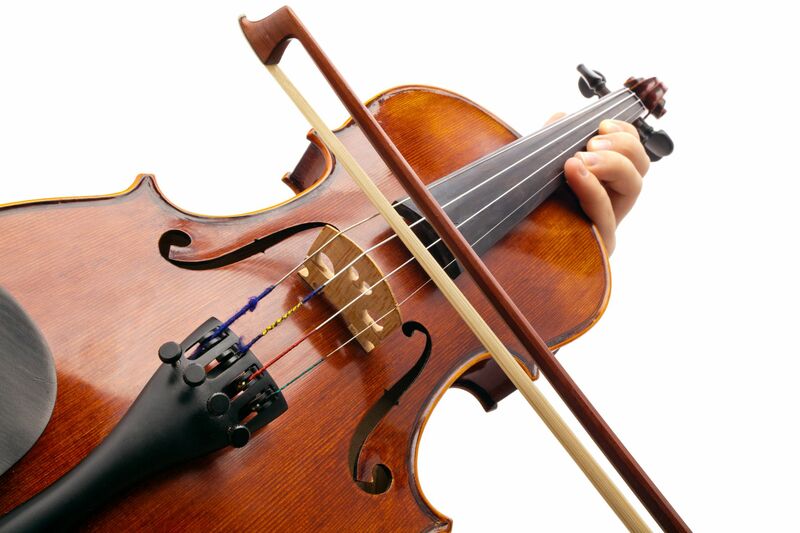 A single instrument, like a violin, can often convey more feelings and understanding than a full orchestra or chorus. The violin and music reminded me of Pa in the Laura Ingalls Wilder Books – Little House in the Big Woods and Little House on the Prairie. I always read these books aloud in my classroom. Pa played the fiddle. Many of Laura’s stories are about Pa and his fiddle. His singular notes conveyed to Laura much the same as the violinist I heard tonight. Simple notes that held a deeper meaning. I’m introducing children to these sounds and classical music next week. We are beginning to paint in earnest for out art show. Music inspires art. I see this every year. This entry was posted in art, Early Education, music, patriotism, Singing, Teaching young children, The Arts and tagged classical music, fiddle, music, music inspires art, St. Patricks Day, The Star Spangled Banner, violin. Bookmark the permalink. Yesssss! Bring it on – and kudos to the hockey league for offering up a variety of anthem renditions to the general public who probably think they don’t like ‘classical’ type music…heh-heh! What’s on the program for your kiddos listening pleasure/inspiration this week? Thank you, Laura. Mega kudos to the NHL for the beautiful instrumental of the National Anthem. I’m planning to introduce Vivaldi’s Four Seasons and Beethoven’s 9th. That’s a good start. I will show single instruments played on YouTube. Many are amazing. That’s a fantastic start! Enjoy the ole record player! I really like how you try to expand your students’ minds and you embraced this violin playing the National Anthem. You’re simply wonderful, Jennie. I liked Peter and the Wolf orchestra piece when I would have my sixth graders do art projects. I think my version was with Leonard Bernstein directing. This was in my spam box, Robin. So sorry. I haven’t played Peter and the Wolf in ages. I need to do that again! Wonderful that your grandson plays the cello! I’m so glad you enjoyed this. Great idea! Let the music play during the art session. Kids will love it and react creatively. Exactly! And I bring in my old record player to play the music. That sounds like a wonderful experience to hear the Anthem played with so still and clear notes. I agree with music which of course is a big art form. It inspires other arts. Equally other art inspire music. A circle of creation. Well said! One inspires the other. Thanks, Miriam. In grade three our teacher introduced us to The Grand Canyon Suite. A magical moment I will never forget. How wonderful! Well, I’m certainly going to need to play that for the children. Thank you, Darlene! Good for you!! My father introduced me to all types of music at a young age – many I probably never would have learned to appreciate on my own. That is wonderful, GP. We don’t get enough of the arts in school. And many kids don’t get any exposure at home. I look forward to seeing the artworks inspired by the music. Enjoy! I’ll post the artwork for sure! Jennie, thank you for this wonderful post and how important artwork and music is in the world and for children. Music and art actually increases the ability to improve thinking and learning, not to mention that it brings out the best in humanity. Great post! I have always thought that your national anthem is a difficult song to sing well. Perhaps it is better suited to being an instrumental. Music has inspired me throughout my life, and continues to do so. It is a difficult song to sing. I was so struck hearing it played by a lovely violin. And yes, it just may be better suited that way. Music is truly inspirational! Best to you, Pete. “A single instrument, like a violin, can often convey more feelings and understanding than a full orchestra or chorus.” I couldn’t agree more, Jennie. Just imagining that duet gave me goosebumps. I look forward to seeing some of the paintings. Happy weekend hugs! I’m saddened to consider that some children do not listen to classical music. I agree that music is extremely important for development, and helps inspire creativity for any activity -even the technical ones. Worse than that. Chelsea. Most children do not listen to classical music, nor have they seen or herd a real instrument, live. Very sad. I will always champion for music (and art, and reading aloud). Thank you! “Music inspires art” that’s so true. I’m looking forward to seeing the entries in your show. Thank you, John! Marvin Gaye was a favorite back in the day. And, the violin was quite a stunning rendition. The greater the range of experience that children are introduced to the better. You’re doing a great job Jennie. Well said, Opher. And thank you. I love the combination of art, music, and old record players!